Run in America! : Houston Half - Here I Come! Earlier today I attempted the Kenyan Way 22-mile long training run, targeting an 8-minute pace for the first 16 miles, and my goal Marathon Pace (7:30) for the final 6 miles. This was a huge day for me, having unaccustomedly bonked in the late miles of both the recent Chicago and San Antonio Marathons it was important to test my fitness level to determine whether to remain in the Houston Marathon, or to drop to the Half. I got as far as 17.5 miles, and though I'd held my desired goal paces until the final quarter mile, my body guided me to the right decision - I'll be running the Houston Half in January. 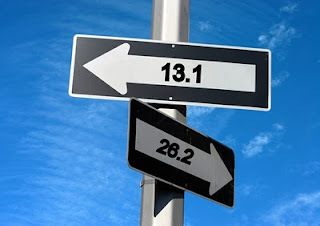 I'm relieved by my decision, and am excited to hopefully excel at the half-marathon distance. 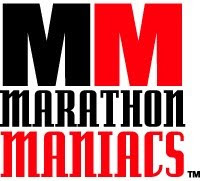 Since with my coach I'd previously committed subsequent to the January Houston race to take six-months off from marathon training and endurance-oriented competition via concentrating instead on speed, through running the Houston Half I hope to have an excellent transition in that direction. The weather conditions for this morning's run were warmer than I'd hoped, starting in the upper 50's and finishing in the low 60's with very high humidity. Nevertheless, I don't hold that as an excuse, especially as the conditions were well within the expected range for the end-of-January Houston race. Until mile 17 I had the benefit of running with an evenly-matched friend training for Boston. The miles always go by much quicker with companionship and conversation, and today was no exception. Nevertheless, beginning at the 14th mile it became very clear from my exertion level running at only an 8:00 pace that the 7:30 marathon pace would prove difficult. As I'd feared upon speeding up at mile 15 my rapid and labored breathing in the remainder of the run provided evidence that I'd not be able to complete the full 22 at my intended pace. This was confirmed in the final half mile slow-down, and after re-hydrating at the Kenyan Way staging area I noticed that I felt as I had in Chicago and San Antonio while nearing glycogen depletion. Though initially disappointed I know I'm making the right decision, and look forward to training for the Half. Really? So you didn't pick the half based solely on my advice? Whatever. A wise decision and, as you say, a good transition into 6 months of speedwork. 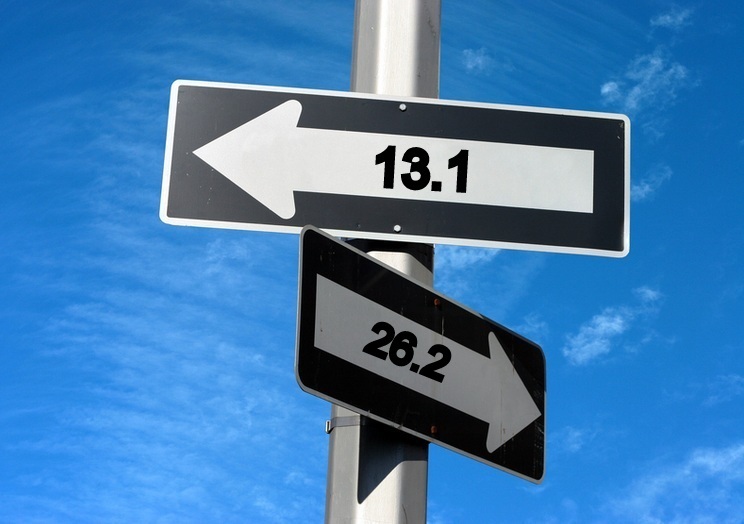 What kind of pace do you want to train for your half with? Do you have any idea what is causing your bonks? It's happened to me a few times and I think heat / nutrition are the main culprits in my case. Chris - You were right! Petraruns - Thanks. I think there's several causes. The biggest one is that my legs are nearly dead! By running five marathons per year for the past three years, averaging 51 miles per week in 2010 (15% more than prior years), and not having an adequate rest period between marathon training cycles I've partially burned out. As a contributing cause the heat certainly hurts, since my pace is generally set based on my desire to P.R. (a big mistake when the weather's not ideal and I'm not in my best physical shape), yet the hot conditions force the body to redirect blood flow partly away from the muscles to increase sweat rate and heat loss. The humidity and the course were not kind this weekend. I actually ran Blossom to start my run so I wouldn't have to run the last three mile loop on the trails. It sounds like you made a solid decision. It sounds like you can't go wrong! And if speed work and training to PR in a half is a break for you, that says a lot! Good luck with your training! I believe I suggested the half before Chris. He's always stealing my lunch money. Seriously, I'm not happy to hear about the tough long run, but I think you're making the right choice. Even just the mental break & excitement to go for a different goal should be a big boost. I'm anxious to see how it goes! So glad to have found your blog through Jamoosh! I, too, am a Houstonian. I am writing with something of a hastey request: I am holding a free Santa Speedo run at Memorial Park on Saturday morning and would LOVE if other Houstonian runners would come out of the event! The web address to the facebook invite is below. If you know others that should know about this or if you could publicize that would be awesome!